What are your options if you need to replace missing teeth? You don’t have to live with pesky gaps in your smile or bad dental solutions. When you come to Biggers Family Dentistry , a leading Midlothian VA dental office, we can provide replacement tooth options that are nearly as good as your natural teeth. Dental implants have become the gold standard of treatment when it comes to replacing teeth. They are strong, do not get cavities, and can last forever. 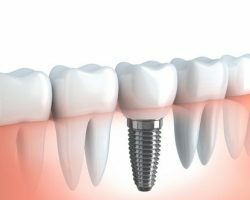 We can use implants to replace single missing teeth or entire arches of missing teeth. Here is one of our patients describing the power of our dental implants. If you have found yourself in a similar situation, give us a call today at 804-977-0092.